Are you looking to shop local for home improvements in Dublin? With a new showroom in Dublin, our long-established history in the city has given us the local knowledge on independent home improvement stores in Dublin. Whether you live north or south of the River Liffey, we’ve written a guide for local home improvement businesses in Dublin. From artwork to furniture, we’ve got you sorted for your Dublin renovation projects. Embrace your artistic side with local artwork from some of Dublin’s up-and-coming or more established artists. Artwork adds a splash of colour and personality to your home and can be a good talking point for your guests. Jam Art Factory, based on both Patrick street and Temple Bar, display and sell art pieces, textiles and ceramics from independent Irish artists. They’re definitely worth visiting for quirky and contemporary pieces. Having successfully been running since 1985, the Open Air Art Gallery, is held every Sunday in the Georgian Square. Meet local Dublin artists, hear the history of their work and purchase original art straight from the artist. 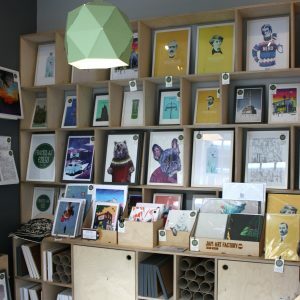 If you’re looking for international artwork, Green Gallery, sell art from local Irish artists and beyond. Visit their store in St Stephens Green shopping centre. They also offer a wide range of bespoke picture framing options. New lighting has the power to transform your Dublin home. It gives you the opportunity to add style and also make your living spaces livable, no matter the time of the day. Conveniently located next to The Brazen Head, Ireland’s oldest pub, you can’t say no to visiting Hicken Lighting. 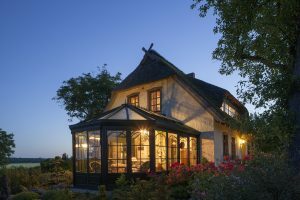 Their lighting product range includes bespoke chandeliers, exterior lighting and spotlights. Brightlights have showrooms both Northside and Southside, so no matter where you reside in Dublin, their lighting products are easily accessible to locals. 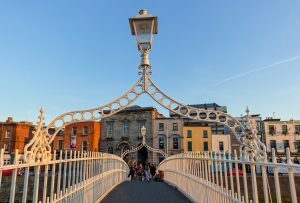 If you’re looking to add a touch of vintage style to your home, there’s no better city than Dublin to find those hidden gems. 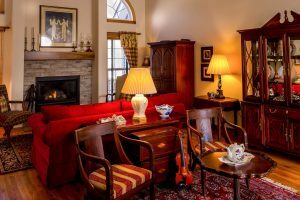 With a wealth of antique stores, you can be sure to find the perfect antique to add Irish charm to your home. Check out the independent O’Sullivan Antiques shop for antique furniture, mirrors, lighting and more. 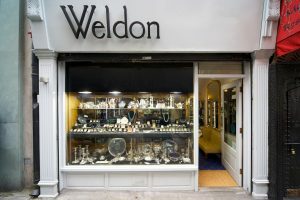 If you’re looking to add antique Irish silver to your collection, Weldons are sure to offer the perfect antique treasure for you. Impress your guests with silver candlesticks, sauceboats and teapots. Johnston Antiques’ extensive range covers everything you’ll need to enhance your Dublin home’s vintage style. With antique cupboards, fireplaces and desks included in their product range, you won’t be able to leave without picking up a beautiful antique piece. If you’re into DIY projects, they also sell products requiring restoration. Your home’s garden can provide you with the green space to host the perfect summer parties, an area for children to play or a haven to become immersed in the gardening world. Take inspiration from Dublin’s Phoenix Park, Europe’s largest enclosed park, with Newlands range of gardening goods. You can even purchase the more exotic plants from their Dublin store. 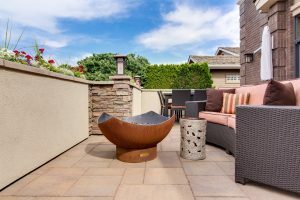 Garden furniture gives you the outdoor living space you never knew you needed. Put the BBQ on, relax in a sun lounger and enjoy the Irish sun with Outdoor Scene’s range of exterior garden furniture and products. It could be easy to ignore updating your existing flooring when you’re renovating your home. 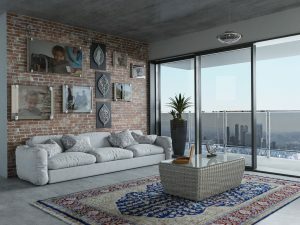 However, there are many less thought of advantages of getting new flooring, including adding value to your home and improving energy efficiency. Family founded Mulvey’s have a showroom in Dundrum, displaying a range of flooring types, perfect for any Dublin home! With over 20 years of experience, be sure to visit Hampton’s Floor Store in Dublin 12 for flooring options including carpet, vinyl and artificial grass. Whether your home improvement project ranges from a replacement front door, to adding an extension, at Turkington Windows, we have the experience and expertise to advise, design and install the perfect project for your Dublin home. Contact us today for a free no-obligation quote or visit our Dublin showroom.